Club Penguin released a new newspaper for this week! Did you notice this is the 444th newspaper? Anyways, the newspaper starts off with the Puffle Handler talking about the Puffle Party. If you click 'Show Time!' 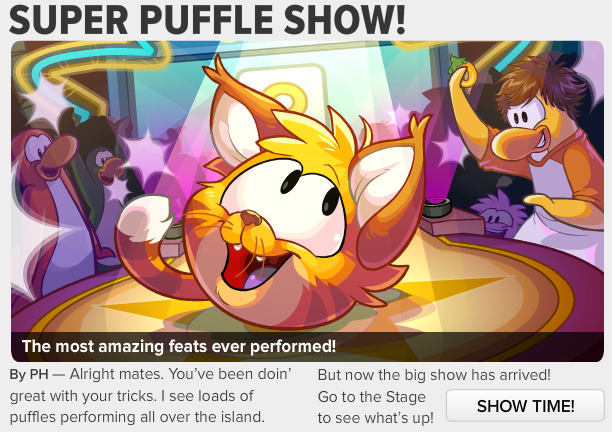 you'll get to read the Puffle Handler talking about The Puffle Gala. 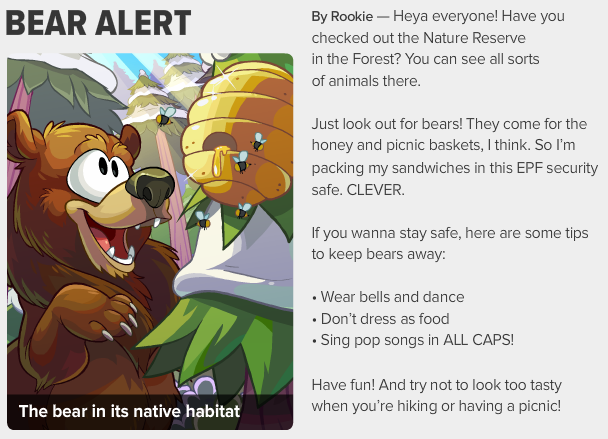 Next, Rookie talks about the Nature Reserve at the Forest room and also gives a few tips on how you can stay safe from bears! Lastly, we have the upcoming events for May. Apparently there is going to be a special event on May 1. This special event is still unknown. Ever wondered how penguins will dress in the future? We get new futuristic clothes on May 8. 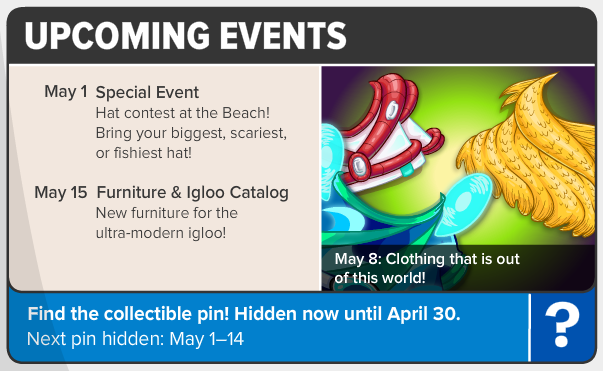 The Furniture & Igloo Catalog gets more items on May 15th.